Falklands Network - Falkland Islands wildlife newsletter. CONTENTS - Click on title below to go to article. 2) IS TOURISM DAMAGING FALKLANDS WILDLIFE? There seems to be a lot of confusion as to whether penguins have declined or increased in the Falklands. The answer is both. Whether you concentrate on the decline, the increase, or the overall change depends on your viewpoint or political stance. Sadly Falklands penguins now number only a quarter of that figure, despite recent increases by Gentoo and Rockhopper penguins. These two species declined throughout the 1980s and early 1990s, and reached their lowest point in 1995, since when populations have recovered slightly. Whilst it is comforting that Rockhoppers and Gentoos have recovered slightly over the last 5 years, it must be remembered that Rockhoppers still number less than 20% of just 18 years ago. This massive decline is documented in various scientific publications by Ian Strange, Peter Prince and Dr Ian Keymer, not just myself. These declines did not occur anywhere else in their breeding range. The problem was unique to the Falklands. This massive decline followed by slight recovery is like loosing �1 on the horses and winning 5 pence. Like a husband trying to justify his gambling, some people prefer to talk about winning 5 pence, without acknowledging the overall loss of 95p. It is impossible to give an accurate total for Magellanic penguins in the Falklands, but we do know that study sites monitored throughout the Falklands during the 1990s have shown a 70% decline over the last 10 years, a decline which is still occurring. It has been suggested that these declines are part of a global trend, but that is not the case. Magellanic and Southern Rockhopper penguins are only found in the Falklands and South America, and there are no signs of decline in Chile or Tierra del Fuego. Indeed the closest colonies to the Falklands on Isla Magdalena (Chile) and Staten Island (Argentina) appear to have increased as Falklands populations declined. In order to better understand the reasons for the Falklands decline, I began comparing Magellanic penguin colonies in the Falklands and southern Chile 4 years ago. Funded by the Conservation & Research Foundation in the U.S.A., the project has already revealed some remarkable results. Over the last 4 years, breeding success and chick survival rates have been substantially higher in Chile (average 1.35 chicks per nest) than in the Falklands (average 0.82 chicks per nest). This huge difference in breeding success could well account for the gradual decline in Falklands population. It suggests that insufficient chicks are being reared in the Falklands to replace natural adult mortality. But why such a difference? Around Isla Magdalena in Chile, where commercial fishing is banned to protect wildlife, adult penguins require an average of 18 hours to find sufficient food to feed their chicks. 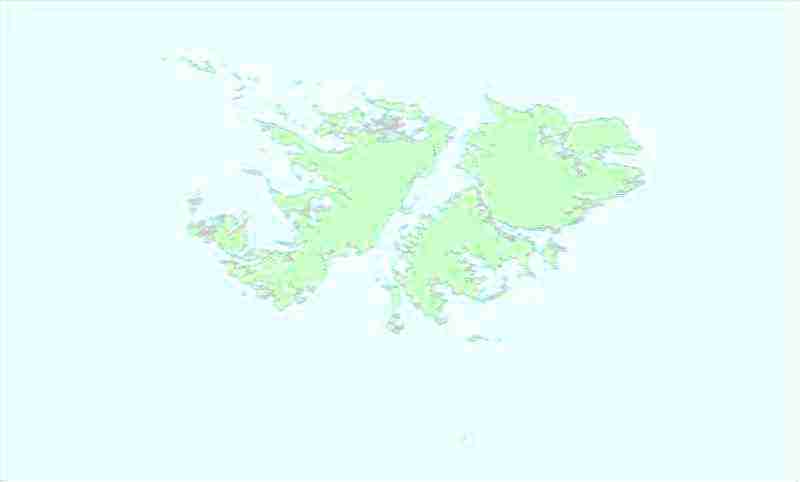 In the Falklands the average is about 35 hours. If chicks in the Falklands are only getting fed half as much food, it is reasonable to suppose that fewer chicks will survive, which is what we see. On Isla Magdalena just 24% of breeding adults failed to raise at least one chick. In the Falklands however, this was an incredible 63%. Almost two-thirds of all nests in the Falklands completely failed. Of those that remain, only 21% raised two chicks in the Falklands, compared to 45% on Magdalena. It is important to remember that Isla Magdalena is just 600km to the west of the Falklands, with almost identical climate and weather. Indeed much of our own weather comes from this region. Isla Magdalena was hit by wet weather this summer, as was the Falklands, and chick survival was down at both locations. The difference was that low chick survival on Isla Magdalena (1.16 chicks per nest) is still higher than what the Falklands achieves in a good year, whilst this year chick survival in the Falklands plummeted to a dismal 0.58 chicks per nest. Diet sample analysis shows that competition still exists between penguins and the Falkland Islands' fishing industry, especially for Magellanic penguins. This competition occurs mainly for loligo squid (Loligo gahi) and blue whiting (Micromesistius australis). Even using Falklands Conservation's own published data (Clausen A (2000) Falkland Islands Seabird Monitoring Programme Report, Falklands Conservation Report SMP8), Magellanic penguins compete with commercial fishing for over one third of their observed diet. This would explain the need to spend longer finding food for chicks, with the consequential reduction in chick survival. It is also important to remember that the observed level of competition with commercial fisheries will be an under-estimate. If there was no fishing activity the abundance of loligo squid and blue whiting would be higher. Since diet sample studies have only ever been conducted under conditions of reduced abundance due to commercial fishing, measurements of competition between penguins and the fishing industry will inevitably be under-estimated. The link between penguin declines and commercial fishing is further supported by similar declines in Falklands seals and sealions. There are a total of seven species of penguin, seal and sealion with breeding colonies in the Falklands. Five of these compete with commercial fishing, and all these five species have undergone major declines in the Falklands since commercial fishing began. These species have not declined in the remainder of their global breeding range, only in the Falklands. The two Falklands species which do not compete for food with commercial fishing have both increased since commercial fishing began, possibly filling part of the niche left by species that have declined. The evidence for a link between these declines and commercial fishing is almost overwhelming. In the Falklands, Magellanic penguin populations have declined so much that it is obvious from the colonies themselves. Next time you visit a Magellanic penguin colony, look how many of the burrows are actually occupied. At most Falklands sites 80 to 90% of burrows are unoccupied or derelict. 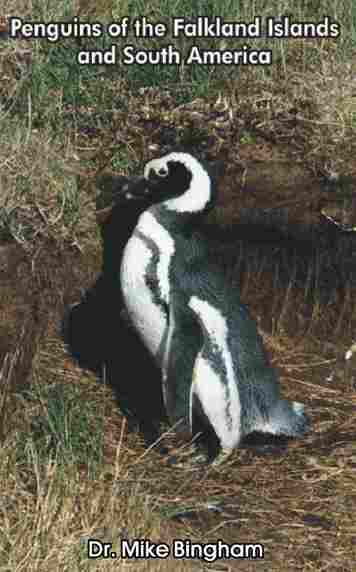 A Magellanic penguin in the Falklands has no problem finding a burrow. There are plenty of ready made ones whose owners have either died or moved elsewhere. On Isla Magdalena, virtual every inch of the island is used by penguins. Even areas where the ground is unsuitable for making burrows are used, with Magellanic penguins nesting on the surface like Gentoos. Anybody who doubts for a moment that Magellanic penguins have crashed in the Falklands should visit Chile to see what a healthy colony looks like. It can only be hoped that Magellanic penguin populations will eventually bottom out, as they have for Gentoos and Rockhoppers. If not, it could be that for future Falkland Islanders, Chile will be the nearest place to see a Magellanic penguin.